American Idol seems to be doing just fine without Simon Cowell: J.Lo’s gorgeous, Tyler’s quirky, and Randy’s actually expanded his vocabulary beyond “dawg.” But face it: You miss Mr. Crankypants. Thankfully, we won’t have to wait much longer for Cowell’s return. This weekend marks the beginning of auditions for The X Factor, the show that replaced Idol in the U.K. years ago and finally makes its way to America this fall. 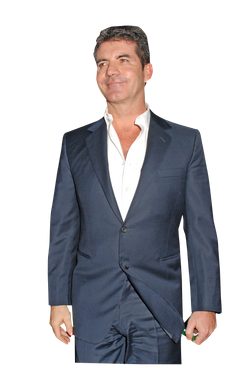 Vulture caught up with Cowell yesterday and found him relaxed, chatty, and ready to get back in the game of creating musical superstars. We got his take on everything from the current Idol; what went wrong last season; and what he thinks of NBC’s clone, The Voice. We even got him to weigh in on Rebecca Black’s next career move. We’ll soon have American Idol, The Voice, and The X Factor. Does America really have that much talent? A hundred million percent, yes. I wouldn’t have made this show unless I thought there was enough talent waiting to be discovered in America. I wouldn’t have put the $5 million on the table. I wouldn’t have made the bet. I’ve talked to industry insiders who say NBC is rushing The Voice onto the air next month for one reason: to get ahead of X Factor. Annoying? Or is all fair in TV? For sure. You can’t stop somebody from doing this. If they want to do it, good luck to them. Every time I hear something like this, I put the phone down and I try harder. I’ve been in this situation for years in England. We’ve had so much competition; everyone’s tried to have a pop at us. Our shows have remained popular because they are good shows, but they also rely on one thing and one thing only: the contestants. Having you on the show makes a difference, too, no? It’s a combination of everything. But no matter how good we are as a panel, if you just get a ton of dull people who look and sound like everyone else, there’s absolutely nothing I can do about it. One thing’s for sure: The X Factor is going to attract a lot more contestants than The Voice. There’s no doubt about that. So we’ve got a slight advantage to begin with. Idol is such a lovefest now. Ever tempted to throw a shoe at the TV? If I was on the show, I don’t think I’d necessarily be on the same page as the other three. Having said that, they’re very happy with the show now. One of the producers has made it very clear and public that he’s happy I’m not on it. So I think we’re all on the same page. I’m happy to be doing something new, he’s thrilled not to have me, the contestants are happy, the judges are happy. Look, I left the show on fantastic terms. I still talk to Randy and Ryan on a regular basis. Other people connected to the show have made it public they think the show’s better without me. It [underscores] why I left in the first place: We were just on different pages. You did seem bored out of your head last season. I was. When I said recently in an interview that Idol got better without me, I meant it in a positive way. I was not happy being on the show anymore. In hindsight, I should’ve waited until the end to announce I was leaving. The timing was off. People got suspicious and it was a weird atmosphere, and it didn’t work for anyone, really. Any finalists this season you can’t stand? The only person I can remember is the young kid with the deep voice, the country singer. But I’d be lying if I said that I knew enough about any of the contestants to have an opinion. So what’s the latest on the remaining two spots on The X Factor’s judging panel? We didn’t intend to be in this position, where all the people we were talking to were [made it] public. But I don’t really have a problem with it: We take meetings; people are going to hear about it. You’ve got to cast this like a dinner party. You’ve got to find the balance. Anyone you can say will not be on the show? I can rule out Mariah. She was literally going to be, like, eight months pregnant, and that wasn’t going to work. When will you have it all nailed down? I’m guessing that within a week, or two weeks maximum, we can announce something. “Pitchy” was a word we heard far too often on Idol during your tenure. Any word you’d like to ban from The X Factor? What would be your advice to Rebecca Black if she were on X Factor? Very simple: Don’t listen to anyone over the age of 18. I’m being deadly serious. Whatever she’s done has worked. Whether you like her or not, she’s the most talked-about artist in America right now. Nobody over the age of 18 should understand her or like her. So she should just do it her way. There’s been buzz that your company has sold a lottery-themed game show in the U.K. What exactly is it? Where I’ve got to be careful — and The Voice is a good example of this — is that you have a lot of competition out there that watch us like hawks. And the minute I give too much information away, someone’s out there making the show before me. So I tend to keep things close to my chest. Will a version of that show be sold here? It’ll certainly be sold within the next month in America. I don’t want to sound arrogant, but this is a fantastic show. Are you ready to get back on TV? Once I announced L.A. [Reid]’s name, it was real. And I’m loving it. It’s exciting.